I am sharing here some extremely interesting trends and statistics about online digital users and their behaviour with digital content and services. Mobility: With the Indian government sponsoring introduction of 3G services in 2011 with a $30 billion spectrum auction, 3G penetration es expected to reach 22 percent by 2015 (as per projections by Morgan Stanley). Government and the private sector have spent nearly $55 billion on related infrastructure. 2012 will further see a roll-out of 4G wireless services across India. Currently, among the nearly 800 million mobile subscribers in India, very few use smart phones; most have feature phones that deliver, at best, premium text-based services. With continued lowering of smartphone costs (the lowest price in the market is now $65), their penetration is again expected to grow rapidly in the near future. Mobility will drive much of the expansion in Internet usage. One of every four Internet users in the country now accesses the Net using a mobile device. A leapfrog effect will mean that three of every four Net users will do so by 2015. Media Consumption: Indians love media. India is obsessed with "ABC" (Astrology, Bollywood, and Cricket) and an average Indian consumes 4.5 hours of media and entertainment a day, while 70 percent of the national population spends money on content, both online and off. Time spent online already comes to 40 minutes per capita per day. E-Commerce: Currently, only 11 percent of Indian online users are transacting online. As in China several years ago, there's a reluctance to pay for goods using the Web; most of today's online transactions are in the travel industry (representing 87 percent of a $6.3 billion e-commerce sector, says Avendus). But e-commerce is rapidly taking off. An Amazon lookalike Infibeam's founder projects growth of the retail economy from $400 billion today to $1 trillion by the end of the decade. 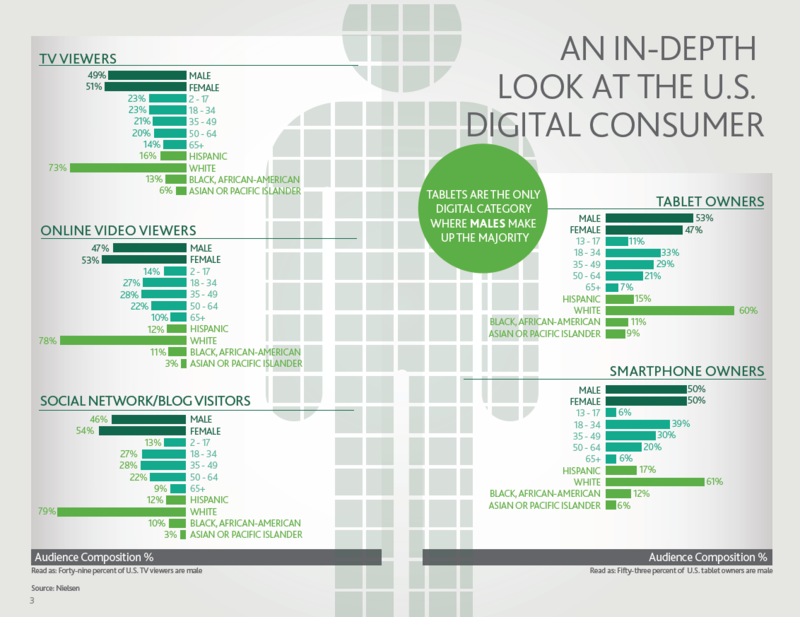 Digital will inevitably play a starring role in propelling this growth. Capital: There is an abundance of local capital ready to deploy to feed new ventures. According to Mergermarket, the value of investment activity rose from $111 million in 2010 to $829 million in 2011, while the number of deals doubled from 33 to 66. This expansion isn't just domestic. Indian entrepreneurs are feeling bullish about global markets. One publicly traded company, OnMobile, an operator of premium SMS services, now does business in 52 countries around the world. At least 16 languages spoken throughout the country which poses a challenge for developing robust legal, regulatory, and financial infrastructure (including payment systems). Problem of sound policing of intellectual property rights. Americans between 18 and 34 — are defined by their digital connectivity because they consume media, socialize and share experiences through devices more than other age groups. The most recent U.S. Census finds 18- to 24-year-olds make up 23% of the population. They use 39% of smartphones. They are exactly in proportion with their ratio of the population, representing 23% of TV viewers. Whites use more tech devices than blacks, Hispanics, Asians and Pacific Islanders in the U.S.
105.1 million Americans now watch videos online each day, up 43% from 73.7 million in 2010. YouTube is largely driving this. Average minutes per video view, average videos watched per user, and total ads streamed are way up as well. In addition to a strong purchasing power, the study proves that the pre-family man is influential and digitally savvy – almost one out of five is labeled as an innovator or early adopter of technology. This segment is also becoming increasingly larger as the marital age of men in Asia continues to get delayed. The median age for first marriages of men in Asia rose to 32 in 2011. Look to provide a distraction or provide them with assistance needed to make tough choices. Be wary of adding more information sources unless it is for a very specific need complementing the existing sources. Appeal to their competitive nature. Select the right content, by device, by time of day, and by mindset to maximize accessibility and engagement. The pre-family man in Asia puts his job or career ahead of his other priorities (29 percent). This is followed by money (17 percent), love (17 percent), family (12 percent) and friends (8 percent). Pre-family men in Europe, the Middle East and Africa highlight love as their first priority (75 percent). Within Asia-Pacific, Australian men follow the Westernized trend, prioritizing love over their career (32 compared to 14 percent). When pre-family men get closer to marriage, friends become less of a priority (dropping from 8 to 5 percent), while work, love, money and family all become increasingly important. Pre-family men use technology to manage their daily online activity such as communication, entertainment and organizing finances. This signals the online behavior of pre-family men is often planned, even down to what they use the Internet for at different times of the day. Pre-family men also use multiple devices interchangeably for practical reasons. The study reveals that laptops and PCs are the main devices used for social networking (at an approximate average of 70 percent), as compared to smartphones (25 percent). Notably, pre-family men tend to use laptops and PCs for important emails and business transactions. Except when commuting, their time spent online is relatively consistent; for example, the morning is spent doing more work and functional activities, while the evening is spent relaxing with videos, music and games. These insights can help marketers develop customized content – for each device and at different points of the day – to enhance the online experience. Pre-family men get competitive when it comes to games. Social networking or social connectivity provides them with the platform to not only play games but communicate their competitiveness among peers. The results show that free social or app games on smartphones (56 percent) are played more frequently than games on portable (33 percent) or home (35 percent) console devices. Pre-family men have the incessant need to stay connected with up-to-date information, and 77 percent say information helps them make better decisions. In fact, they go online at least once a week for everything from news (94 percent), to sports (79 percent) to gossip and entertainment news (67 percent). The study shows the need to be ‘in the know’ is driven by a fear of being less respected and lacking a cutting edge. Given this, pre-family men tend to browse quickly through information potentially limiting their decisiveness, activity and creativity. Bachelors in India go online at least once a week for everything from news (95 percent), sports (87 percent) and gossip or entertainment news (67 percent). The need for the pre-family man to be ‘in the know’ is driven by his fear of being less respected and lacking a cutting edge. Pre-family men tend to browse quickly through information potentially limiting their decisiveness, activity and creativity. Without technology, Pre-Family men anywhere in Asia feel naked as they use it to manage their daily lives. This is indicative of how planned their online behavior is, even down to what they use the Internet for, at different times of the day. The study reveals that Job and Family are the two key aspects that dominate the lives of Single Men in India, with 36 percent prioritizing job or career ahead of everything else on the list of priorities which includes family (14 percent), money (13 percent), love (12 percent), and friends (6percent). The research highlights that for social networking, Indian men love their big screens with 65 percent using laptops on the way to work as compared to 30 percent using smartphones, and 56 percent on the way back from work compared to 35 percent using smartphones. The top three motivations for social networking for pre-family men in India include staying connected (49 percent), to be entertained (21 percent) and as a habit (18 percent). Email is the leading online communications tool for men in India, as they use it to stay connected (28 percent), get things done (28 percent), and as a habit (24 percent). They play free social or app games (40 percent) more frequently than games on portable (20 percent) or home (20 percent) console devices. The Times of India, which ranked as the largest site in the Newspaper category with nearly 7.9 million visitors in India (age 15 and older accessing from a home or work location), attracted 36.2 percent of its global traffic from outside of India in September. HT Media Ltd. saw 28.1 percent of visitation from outside of India. 19 percent of adults in the United States own a tablet, and 29 percent own either a tablet or an e-reader. Similarly E-readers grew from 10% to 19% over that same time period. These numbers suggest that most users own either a tablet or an e-reader. It took only one holiday shopping spree for the number of U.S. adults who own either a tablet or an ereader to jump to almost one third of the adult population – from 18 to 29 percent. Since there was no new iPad in that period, it’s safe to assume that a big chunk of this growth can be attributed to Amazon’s Kindle devices and Barnes & Noble’s Nook line. Both companies reported exceptionally good holiday sales. Amazon said last Black Friday was the best day ever for Kindle, and Barnes & Noble reported record Nook sales during the nine-week holiday period at the end of 2011. Strong demand for tablets will drive the growth. Nearly 30% of all ebooks in 2016 will be downloaded to tablets. Other devices will also play a part. Dedicated ereaders and ebookstores from existing brick-and-mortar chains such as Barnes & Noble will help fuel the transition from print to digital. The availability of ebookstore apps across an increasing number of devices, including Amazon’s Kindle app, will also play a role. Currently, most ebooks are downloaded onto mobile handsets and most are Japanese manga books. Lately, Amazon — which dominates the ebook market in the U.S. — has been setting its sites on the growing global market, rolling out dedicated ereaders and stores for French, Spanish and Italian readers. The network also reports on engagement and ad performance data, both in terms of apps vs. browser and iPhone vs. Android. The report indicates that CTRs on ads in apps are 8 percent vs. 5 percent for browser. Call-through rates, however, are higher on browser-based ads. This difference is attributed to feature phone users calling businesses rather than seeking more information on their handsets, which offer a more constrained user experience than smartphones. The company reported that CTR rates on the iPhone and Android are roughly comparable, but that “secondary actions” are greater on iOS. These secondary actions can include calls, map/directions access, review lookups and so on. Calls are the most popular “post-search” secondary action (62 percent), followed by maps and directions lookups (35 percent). The xAd report also discusses demographic data. As one might expect, the heaviest users of local-mobile search tend to mirror smartphone demographics generally: a slightly more male audience (55 percent), concentrated in the 25 to 44 age range, which is also more affluent ($75K+) and educated than the general mobile population. 120 million monthly unique visitors. Last time Tumblr unleashed figures was in September when monthly pageviews hovered around 13 billion, up from 2 billion at the beginning of 2011, reflecting a 218% year-over-year increase. To put the stats into perspective, WordPress.com blogs attract roughly 316 million people internationally who view 2.5 billion pages each month, while Reddit’s almost 35 million monthly unique visitors check out 2 billion pages. Facebook reportedly surpassed 1 trillion monthly pageviews in in mid-2011. When looking at U.S. stats alone, however, WordPress.com sites trumped Tumblr blogs on average each month in 2011: 20.4 million vs. 10.9 million pageviews. I just got a cheque for $500. So I show them a video of myself getting paid over $500 for participating in paid surveys.